Is genuine co-existence between Jews and Arabs in Jerusalem possible? Rami Levy, owner of Israel’s third largest supermarket chain, believes it is, and he has put up $50 million to prove it. A new mall – with a Rami Levy supermarket branch as its centerpiece – was just completed in the controversial location of Atarot. Located at the very northern tip of municipal Jerusalem, the mall’s parking lot is literally bordered by the partition wall dividing several hostile Arab-populated neighborhoods from the rest of Jerusalem. The owner is both excited about the economic opportunities the mall will provide, and optimistic about the contribution it can make to Jewish-Arab coexistence. He derives his optimism from the fact that many, if not most, of the store-owners are Arab. Most customers are expected to be Arab as well. The mall, however, has already drawn Fatah boycott calls as well as several Arab-hurled firebombs. Keep in mind that Atarot is a critically strategic area in the struggle to ensure that Jerusalem remains united under Israeli sovereignty. A Biblical Jewish city mentioned in the Book of Joshua, Atarot was resettled just over a century ago. Atarot’s pioneers were forced to give up and leave after just three years, but in 1919, another group of hardy Jewish farmers tried again under harsh conditions that included lack of water, rock-filled fields, eight years of temporary housing, and the confiscation of large areas by the construction of an airport nearby by the British. Despite these challenges, Atarot gradually began to prosper, but in March 1948 it suffered a devastating blow. Arabs ambushed a small convoy carrying supplies and soldiers, set fire to one vehicle, and brutally murdered 14 Jews. A month later, just before the War of Independence, Atarot was hurriedly evacuated and abandoned. It remained in ruins for 19 years, until Israel liberated the area in the Six-Day War of 1967. Atarot’s future has long been in question, and several plans for the area have been entertained in recent years. First to be considered was the construction of a sizeable charedi neighborhood accessed by a tunnel from Kokhav Yaakov. However, this plan was abruptly shelved, possibly due to American pressure under the administration of George W. Bush. Another plan then began to take shape, making Atarot an industrial bio-tech and hi-tech park – including a state-of-the-art waste recycling plant for the 1,300 tons of garbage collected daily in the city. Opened in 2015, it is Israel’s first recycling center to sort and separate household waste, and is one of the largest of its kind in the world. If these developments, however, are in lieu of a residential plan, they are not sufficient. We continue to hope and insist that the government build a bustling Jewish neighborhood in the Atarot area. After all, it is hard to imagine that an Israeli industrial zone in Atarot, as valuable as it is, could put the brakes on the ever-present threat of a divided Jerusalem as effectively as 10,000 Jewish housing units there would. An industrial zone could keep running even under PA sovereignty, possibly even with a Rami Levy at its heart if the negotiators are sufficiently imaginative. The presence of thousands of Jews living in Atarot would present a much greater obstacle to those who would seek to create a PA state that included this area. Plans for a Palestinian state, of course, assume it will be led by Fatah, which supposedly is “peace-loving.” Who in the international news audience has not grown up on the narrative of a “moderate” Fatah, headed by the all-out “dove” Mahmoud Abbas who would love nothing more than to live in peace with Israel? To become a strong advocate for keeping Jerusalem united under Israeli sovereignty, visit www.keepjerusalem.org. 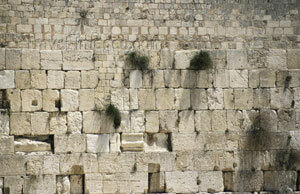 E-mail info@keepjerusalem.org for information on bus northern Jerusalem bus tours.